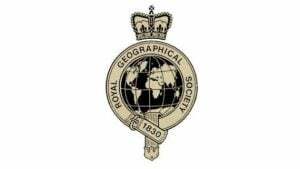 With scenery rivalling that on the Grand Canyon, this is a true expedition not to be missed. Our journey starts with an incredible flight from Delhi to Leh, before a few days acclimatising in this fascinating town. 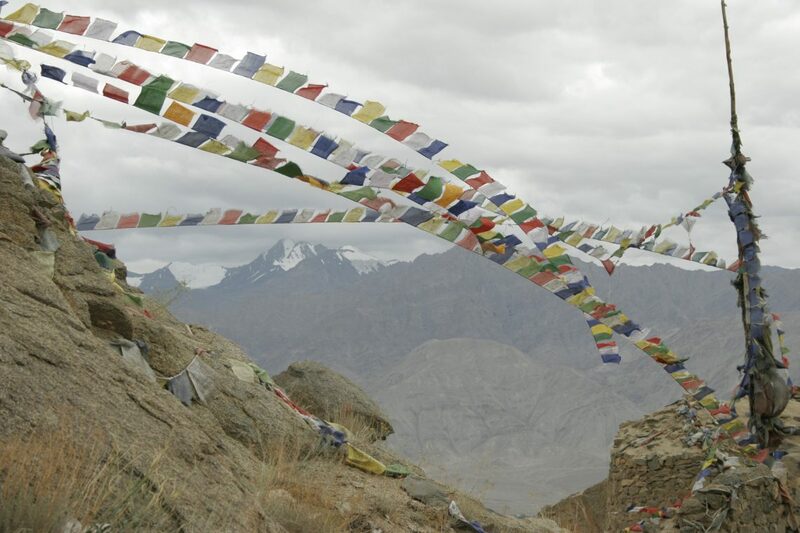 We’ll have the chance to explore several monasteries and perhaps take a drive to the world’s highest motorable road. Take in the wonderful vistas from our hotel or the many roof top restaurants on offer. 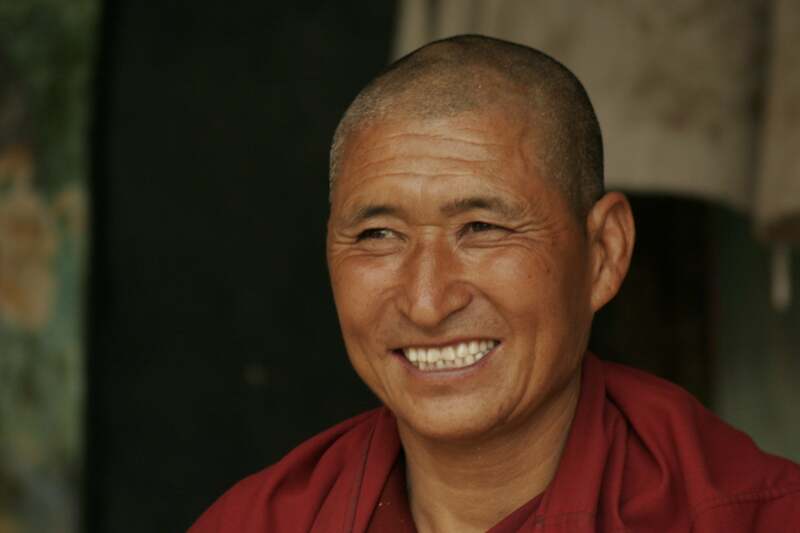 With friendly greetings from the Ladakh people of “Ju leh” you will certainly be immersed in a wonderful, colourful and rich culture in this unique part of India. Our drive to the river takes in one of the most scenic roads in the world. The journey time is often doubled with all the photo stops. We’ll feel like we can reach out and touch a number of glaciers that come down to the road. 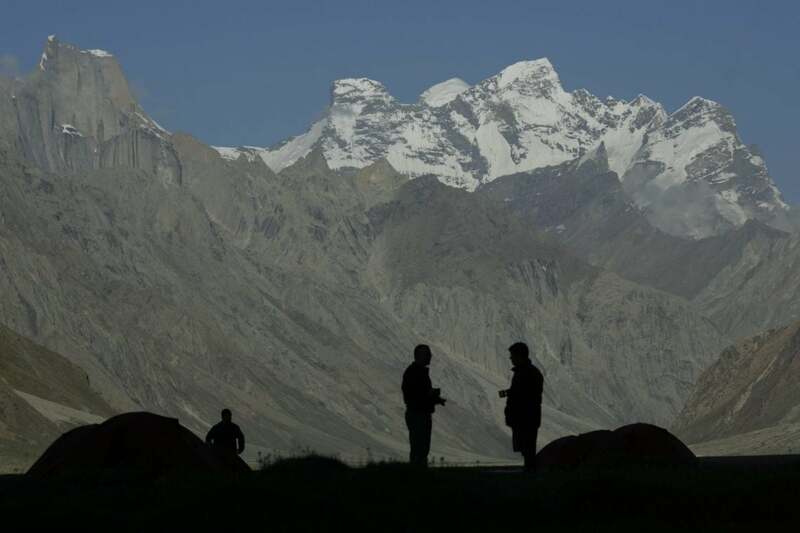 You’ll camp in the heart of the Himalayas on the penultimate night of the drive in the most gorgeous place we have ever experienced. 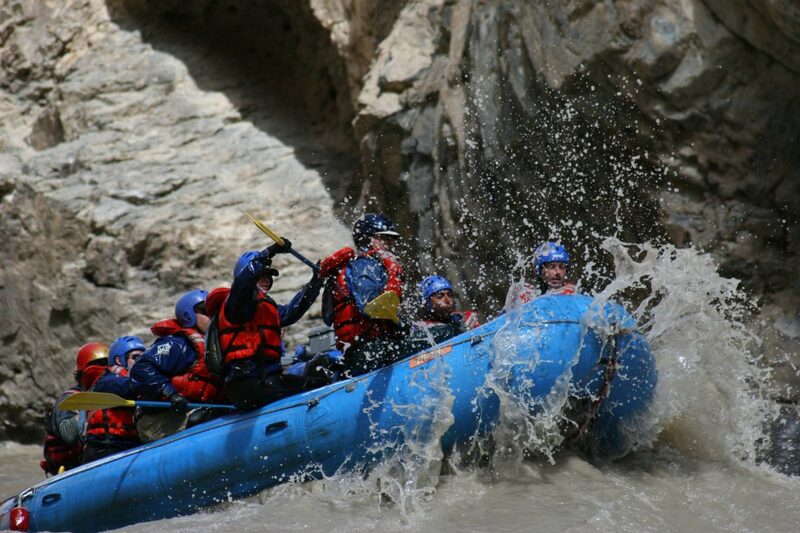 On reaching the river, you’ll be treated to world class white water, stunning scenery and visits to riverside monasteries on your journey. 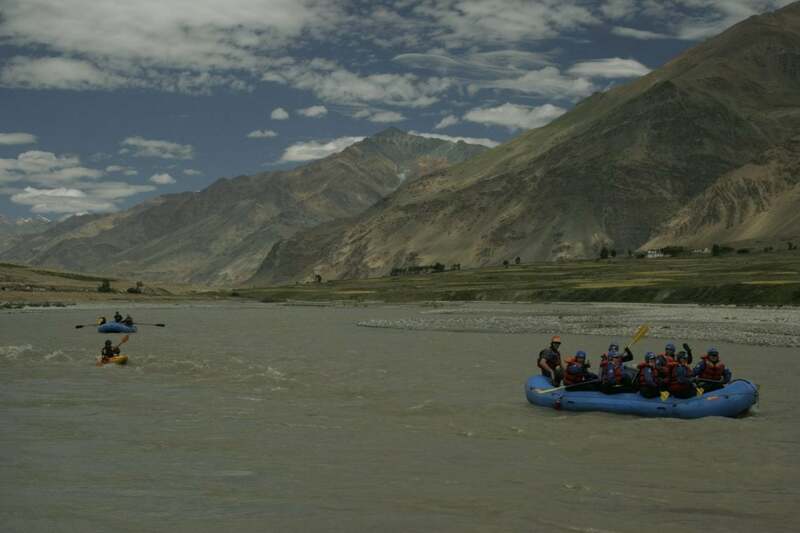 In the ever over crowded world we live in the Zanskar river will alllow you to escape and experience one of the worlds great true adventures. 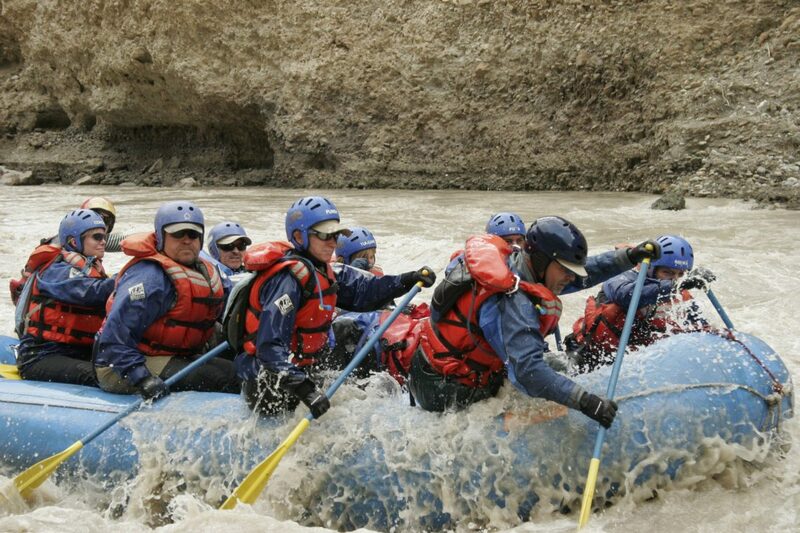 We also offer another Indian adventure on the Brahmaputra River which operates in November and December. Arrive Delhi, met by your trip leader at International Airport and transfer to deluxe accommodations. Domestic flight from Delhi to Leh. We transfer you to your hotel where you get the chance to rest and relax in this wonderful area. 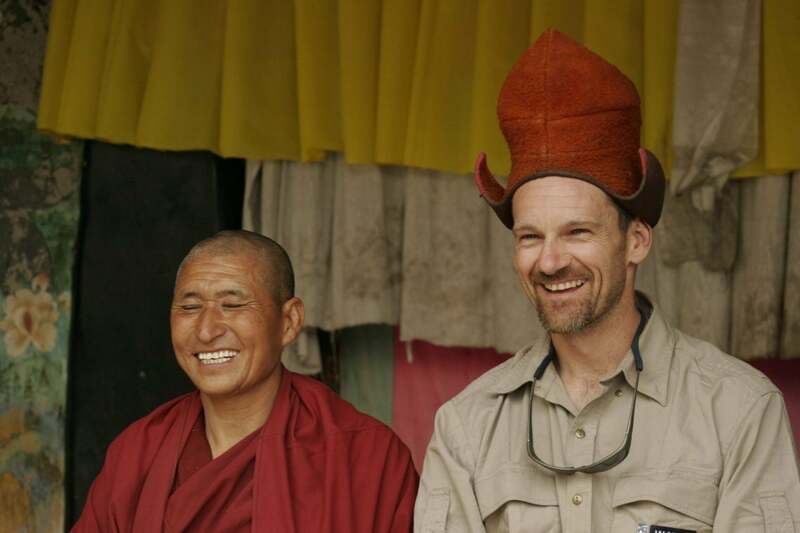 Sightseeing and acclimatizing in Leh. 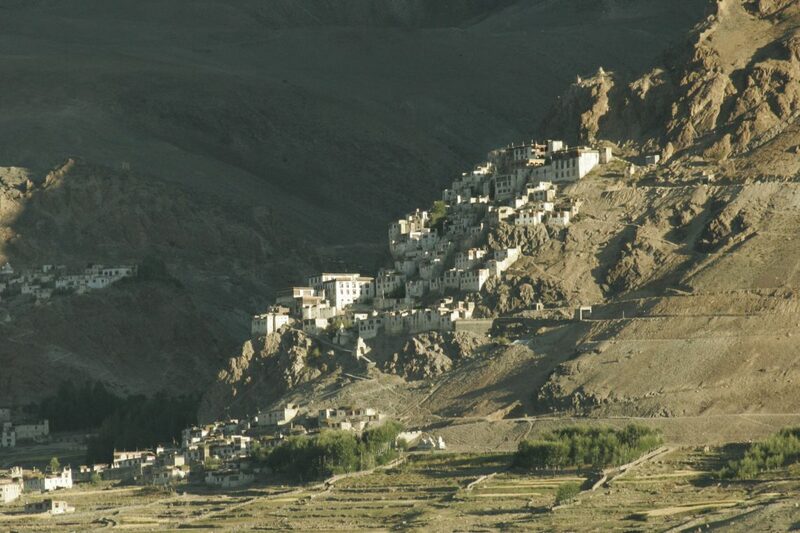 Light activity and short walks, as we are now over 3000 meters, to Leh palace and the town’s exciting market and outdoor restaurants. 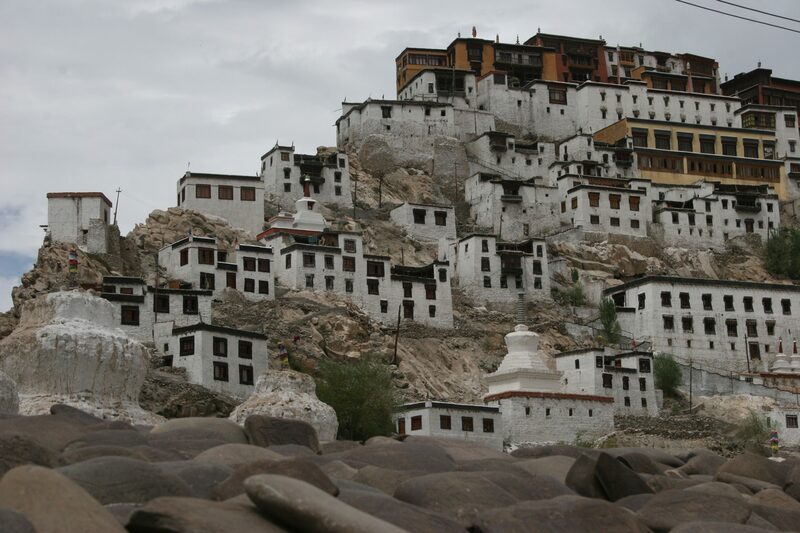 For the more energetic a visit to a few monasteries such as Shey or Thikse , we may even take a drive over Khardung La, the worlds highest motorable road at 5602m – 18350FT!. Overnight Leh hotel. Drive Leh – Kargil – we past through a spectacular moonscape. 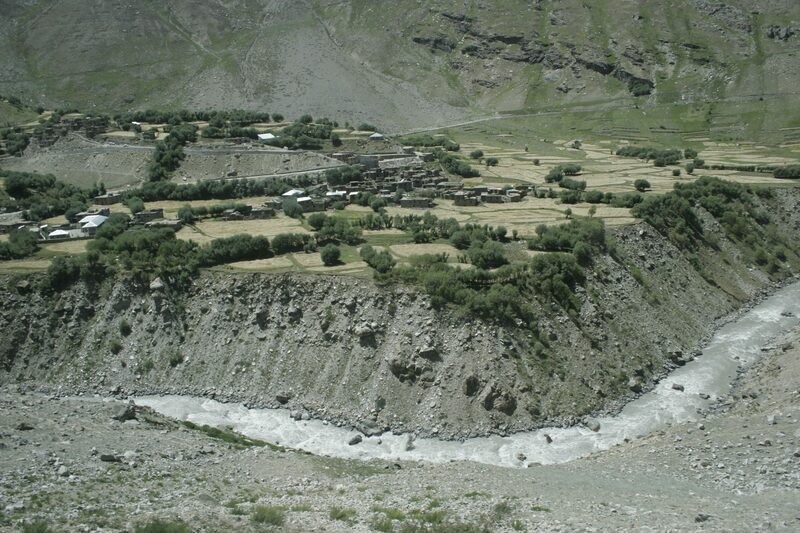 We drive over the Fotu La (14000 ft), a high mountain pass and exit the Indus valley. 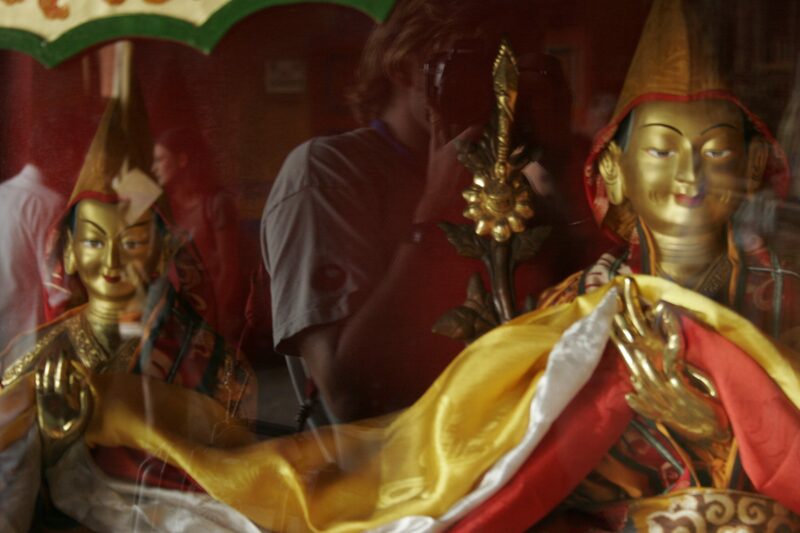 En route, we visit the Lamayuru monastery (optional), known to be one of the oldest monasteries amongst the ‘Red Hat’ sect. Overnight Kargil hotel. 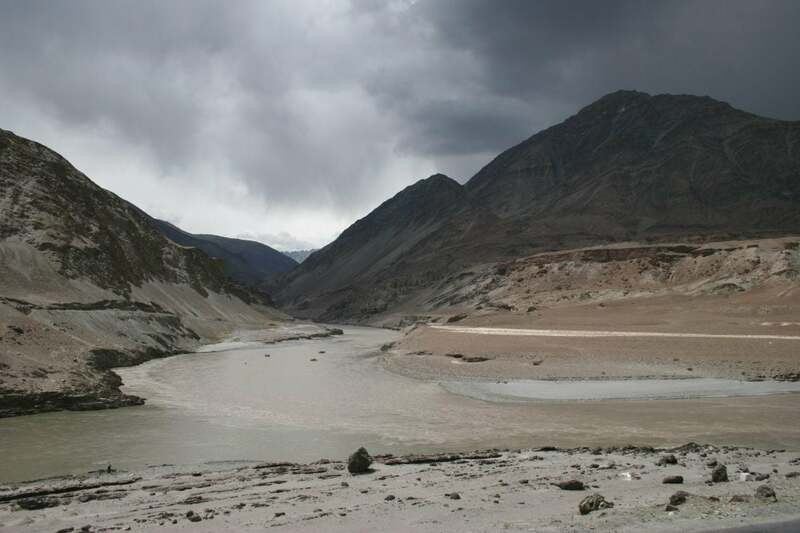 Drive Kargil – Rangdum (3964m ; 13,000ft). 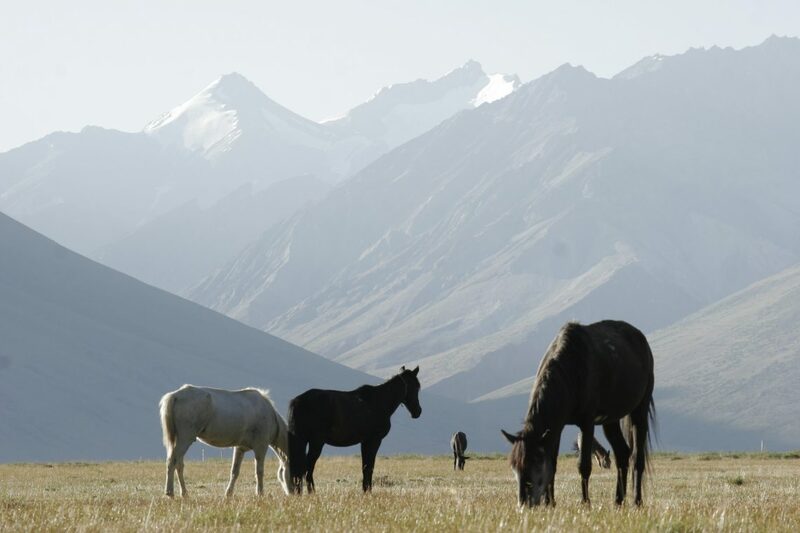 A spectacular drive past Panikar and Parkachik, with magnificent views of the Nun and Kun massifs (7000 metres), hanging glaciers and large meadows. We drive till Rangdum Gompa (12,000 ft). Tonight sees us camping in stunning surroundings. Drive Rangdum – Remala (3635m ; 11,925ft – 6 hrs). 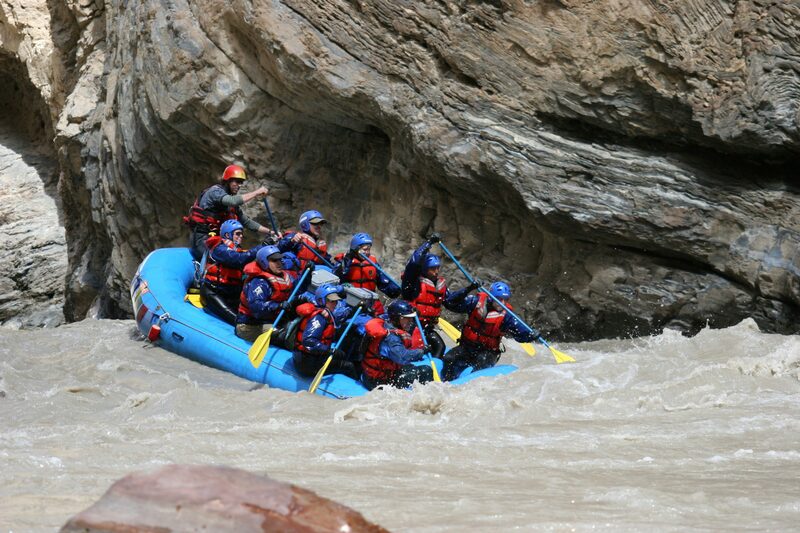 We drive to Remala, which is the starting point for the rafting trip on the Stod River, a tributary of the Zanskar River. 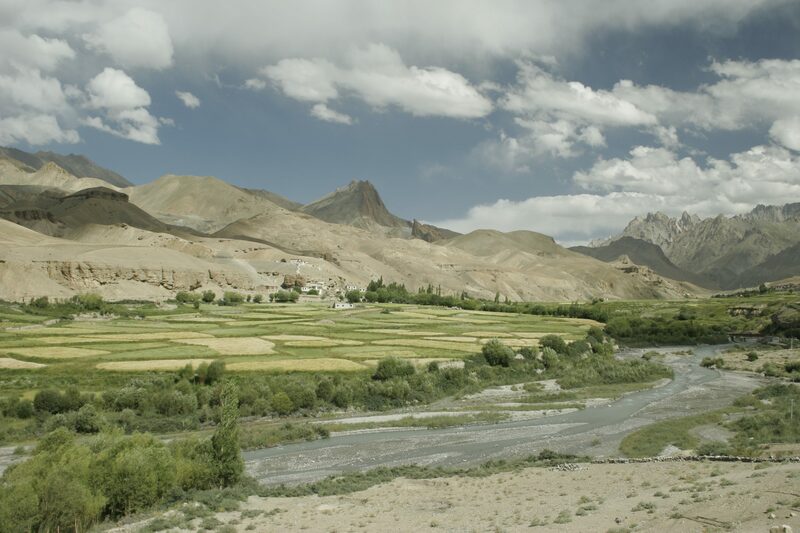 We drive over the Pensi La (14,500 ft), which enables grand views of the Zanskar peaks at the bottom of which is the Drung Durung glacier that feeds the Zanskar River, 40 km below, into which we flow trip the next day. Overnight tented camp. 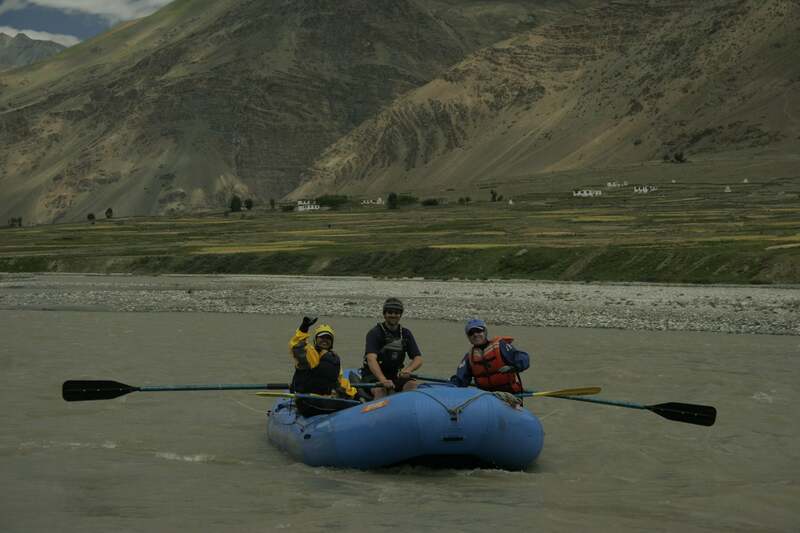 After packing camp, we raft 25 km to Nyerak (3286m ; 10,780ft) a Class III section. 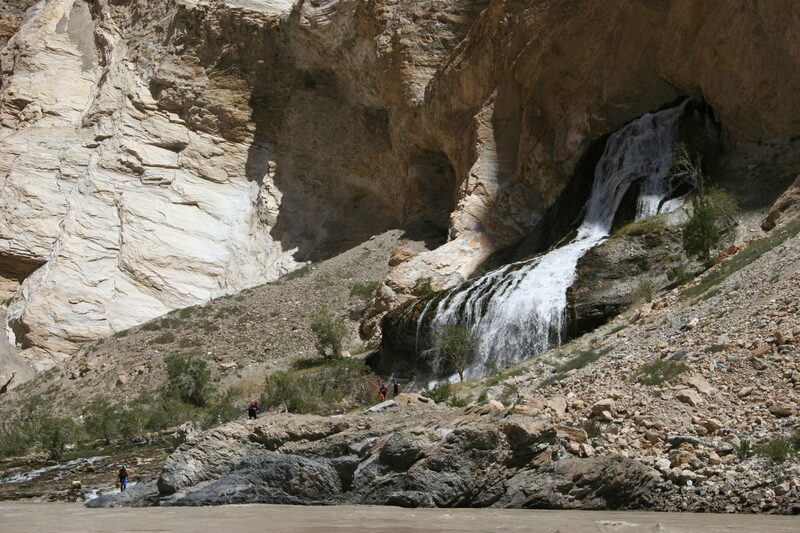 The gorge here narrows in on the river – this is indeed a Grand Canyon in its own right. We stop for the day to pitch camp in a gorge below Nyerak village. LAYOVER DAY! Rest day at Nyerak. Take a hike to Nyerak village or relax under the cool shade of the willows at our Campsite. 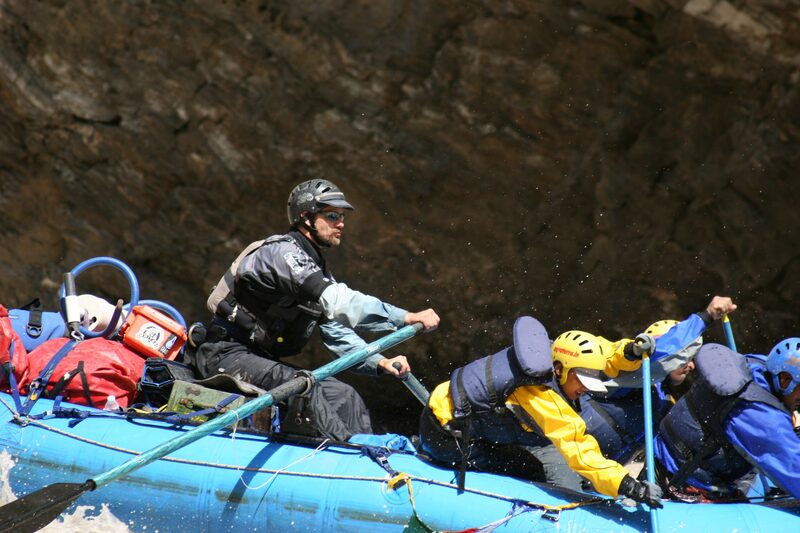 Wash up at the campsite stream and enjoy the day off or have a chance to practice kayaking. 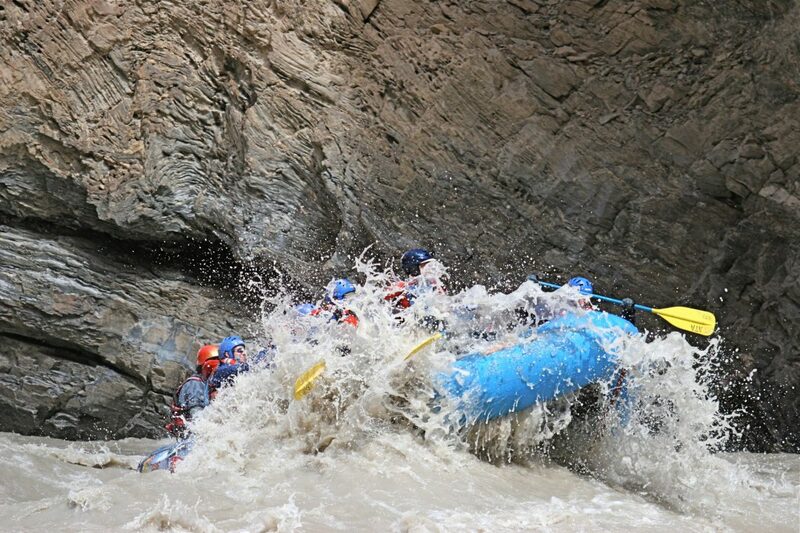 Today’s 35 km rafting section takes us from Nyerak to Lamaguru (3190m; 10,465ft) through the core of the Zanskar, a classic white water day with continuous Class III rapids, and a few Class IV rapids where the river squeezes through a gap of about 18ft. 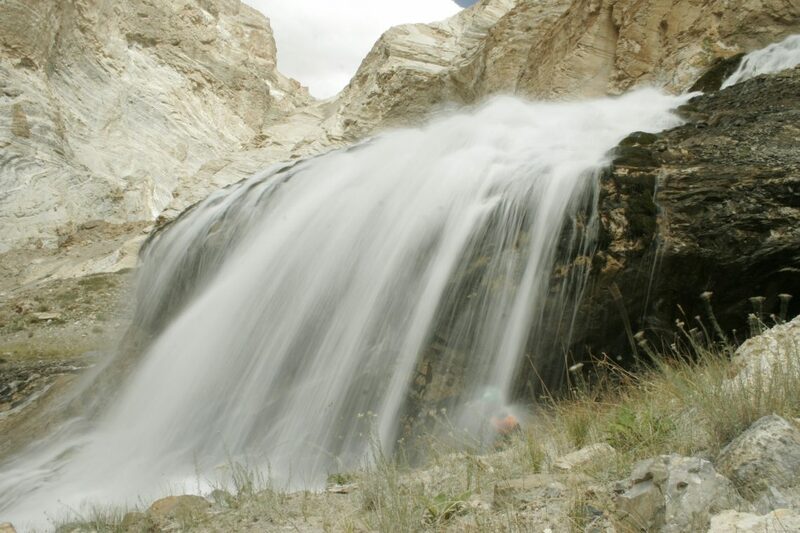 We stop for lunch near a huge waterfall at the confluence of Markha river with Zanskar. Rock formations, spires and an amazing palette of colours add to the trip today. 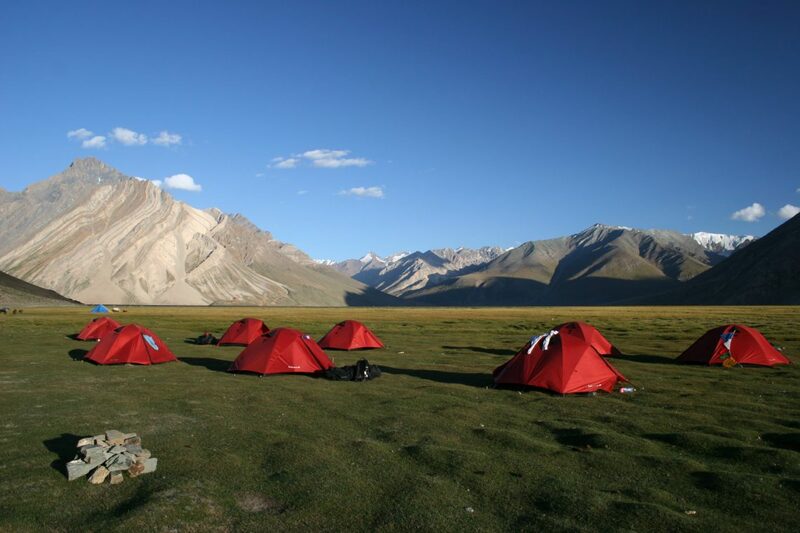 Camp at Lamaguru. We raft 40 kms of Class III/IV white water from Lamaguru to Nimu (3154m;10,345 ft 3-4 hrs) today. 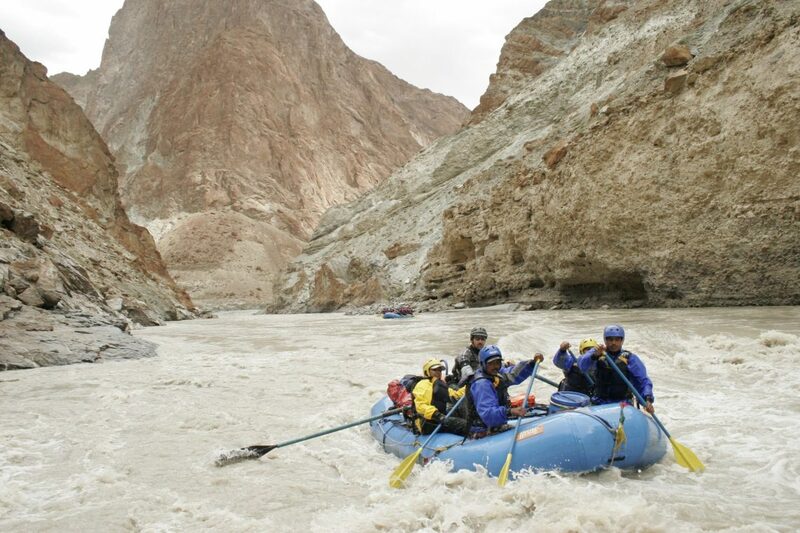 We raft past the village of Chilling and exciting rapids as the Zanskar plunges out of the canyon to meet with the Indus at Nimu. We end our trip at the confluence of the Zanskar with the Indus. Drive an hour back to Leh. Last minute retail therapy and a hot shower! Overnight in a hotel. Domestic flight Leh to Delhi for our post trip meal. 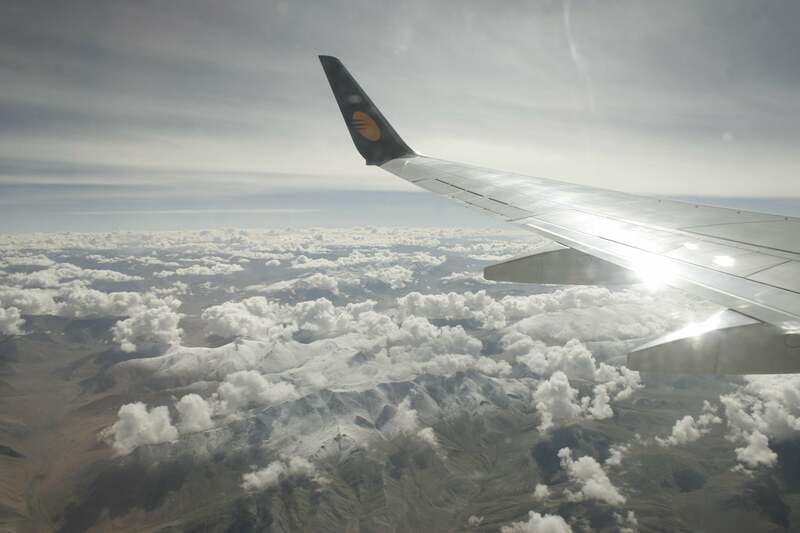 Please Note: Flights to Leh and back are extremely difficult to book during the season. We normally have an airline block which expires 45 days before the trip date. 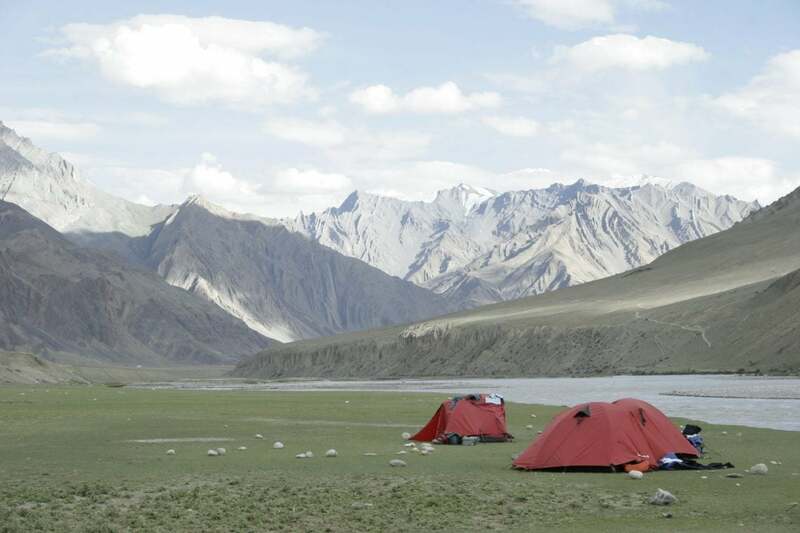 Should you wish to extend your stay in Leh, please put in a request at the time of booking. Depart Delhi on your international flight back home after the expedition of a lifetime. Flights to Delhi are relatively inexpensive and frequent. Many options exist, but don’t forget to use those frequent flyer miles if you are fortunate enough to have them! Our clients have used and recommended the following airlines who have excellent connections. Lufthansa via Frankfurt, Virgin, Swiss via Zurich, British Airways or Kingfisher and Jet Airways from India. We don’t book flights for clients, but we are always on hand to advise the best rates we can find and send you there! 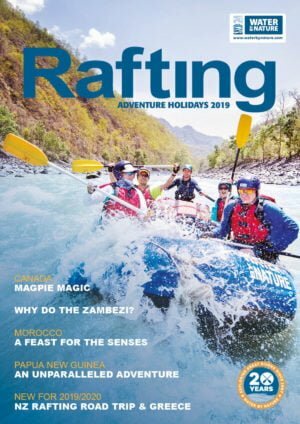 Alternatively we have teamed up with GYT who can provide you with a competitive flight quote by filling out this form on the Water By Nature website. Please note you will need to arrive on Day 1 as shown below and depart on the last day. Please ensure you do not book flights until your trip is CONFIRMED. 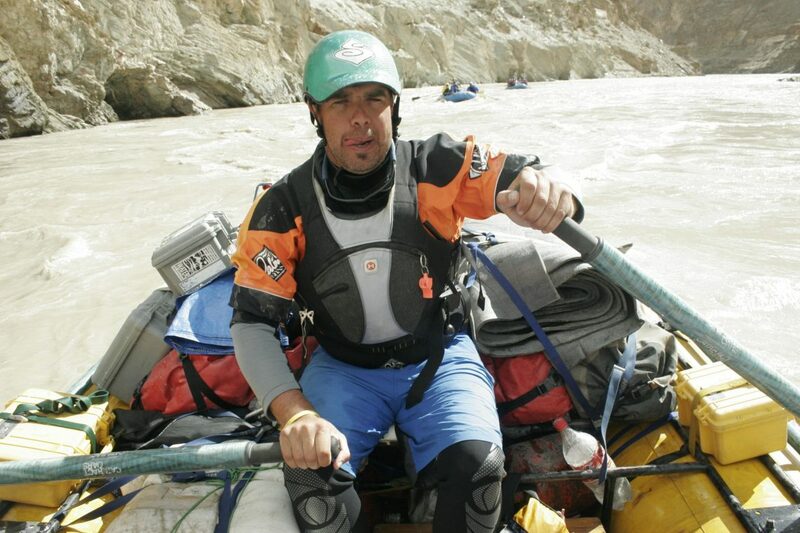 We find most of our clients have in their possession already what is needed for a river journey. We have broken down here the items into what you’ll need on the river and in camp. An equipment list of what you will require for your adventure will be sent to you prior to your departure. 2 pairs of warm tracksuit pants or trousers. 2 Fleece or wool jumpers. Trainers or walking shoes for wearing around camp. You do not need to bring tents, sleeping mats or wetsuits.